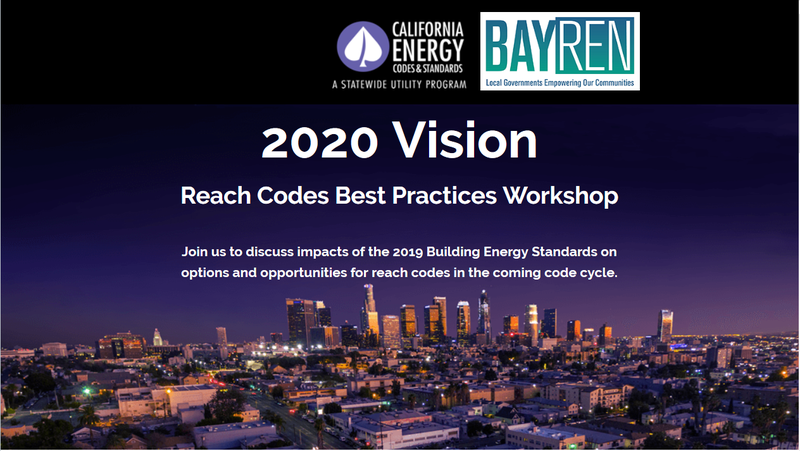 Join us to discuss impacts of the 2019 Building Energy Standards on options and opportunities for reach codes in the coming code cycle. Learn about significant changes in the 2019 Standards, exchange ideas for reach codes opportunities and share considerations, challenges and experiences with other local governments, and identify strategies and tools to ensure successful adoption and implementation processes. To request trainings, please complete the Training Request Form and email a copy to codes@bayren.org, or complete the form below and a representative will be in touch.